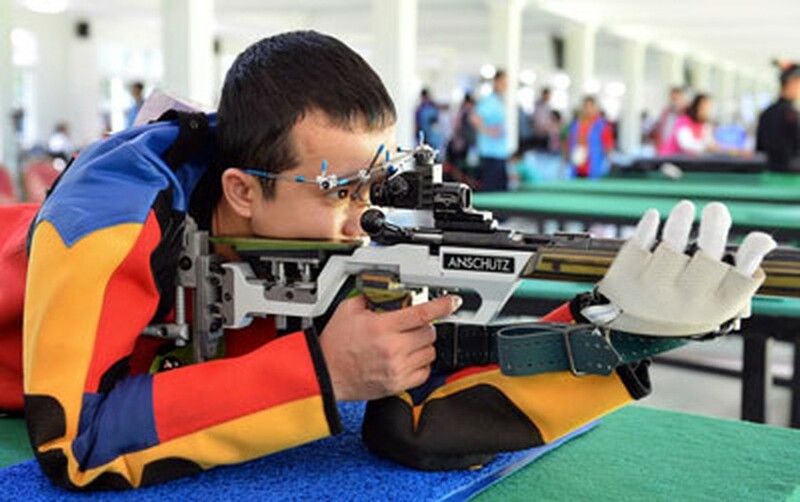 Athlete Nguyen Thanh Dat beat other strong contenders from Thailand and Singapore to win one more gold medal for Vietnam in the shooting category at the 27th SEA Games on December 11. With this achievement, athlete Thanh Dat has won the tenth gold medal for Vietnam with a victory in the 50 meter rifle shooting category. Thanh Dat and his teammates, Huy Hoang and Phung Le Huyen, also won three silver medals in the men’s shooting team category.